Deep base for instrument sterilization tray 77-6120. 6" x 10" x 1.5". Base only, other pieces sold separately. 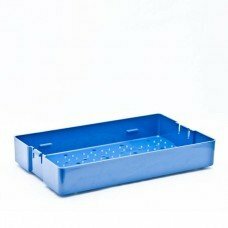 Enhanced features of the 77-series trays include a slotted lid and raised node base surface to facilitate the circulation of steam and aid in drying.